Protesters clash with riot police next to the Place de l’Etoile, setting cars ablaze during a Yellow Vest protest on December 1 in Paris, France. Listen to the December 3, 2018, episode of the Trumpet Daily Radio Show. Two weeks of peaceful protests in the French capital erupted into violent clashes over the weekend. Rioters set cars on fire, looted businesses, and defaced iconic landmarks with graffiti. This is some of the worst rioting Paris has seen since the 1960s. The protests are in response to President Emmanuel Macron’s tax increase on fuel. His plan boosts fuel prices to pay for expensive climate-change initiatives set forth in the Paris climate accords. For the people of France, already subject to heavy taxes, this new tax appears to be the straw that broke the camel’s back. 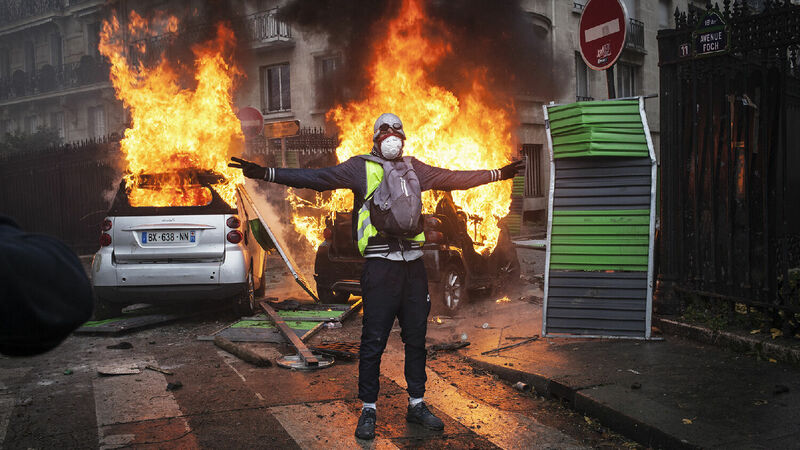 On today’s show, I discuss more about what’s behind the riots in Paris. In the second half, I celebrate the anniversary of the Monroe Doctrine with a look at its history and effect on the world.